Having pests in your home is terribly traumatic. Paul was kind, patient, professional, and probably most important of all: he was successful! Paul told us exactly what he would do and when. He saved us money from our original plan and he eradicated the problem! I would hire Paul again and recommend him to anyone who ever has a pest problem! 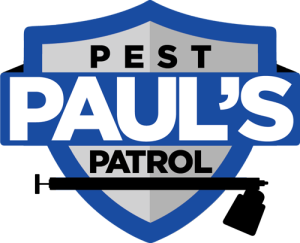 I highly recommend Paul’s pest control! I had a pest problem that he helped me with and came out extra times to make sure that the situation was completely resolved. He was professional and considerate and very reasonably priced. Also, I had a lot of questions and called him many many times and he was very patient with me. Our pest problem has been resolved. Paul was on time, communicative, professional, and has integrity. He inspected my office’s premises for preventative measures and let me know it was all good to go. I highly recommend him for services and will be giving him a call at other premises I need inspected. Thanks, Paul! Paul is very talented, professional and knows what he is doing. Beyond his knowledge he has a great personality and super kind person. Wish everyone had the same capability and kindness as he has.